The Fame Baphomet 6 Fretless is a 6-string electric fretless bass constructed from the finest tone woods by hand at the Fame factory in Danzig. 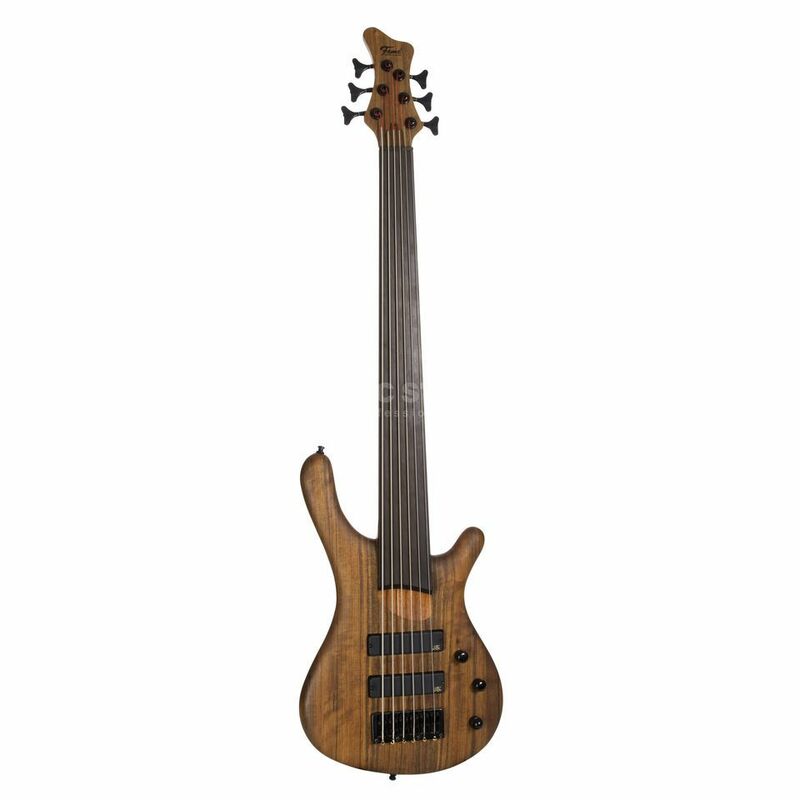 Comprising a bubinga body, bolt on 7-piece neck, a flat ebony fretboard and MEC electronics, the specification of this 6 string fretless bass is beyond reproach at this modest price point. A far cry from many similarly priced mass-produced equivalents, the Fame Baphomet 6 Fretless is a superb choice for any bassist, and will impress anyone who plays it. Excellent value, no-nonsense active bass. Reliable hardware and attractive oiled finish. MEC pickups and active controls give adequate range. The "Fame" branding may not suit every persons taste but dont let prejudice stand in the way of a competent instrument. I have used this particular bass professionally for 11 months with an Irish acoustic band both live and in recording. From that experience the only modification I would suggest is a small radius on the treble edge of the ebony fingerboard for comfort.